FliteTest was kind enough to talk to Demetris (Creator of the OSRC System) about the features of the system and at the same time answer some of the questions that were gathered throughout the RC community. Chad and Josh talk about features such as RF Cloud, modularity of the whole system and why it was important to have these and many other unique features in a single project. Although the video does not fully explain all features, it gives a great opportunity to meet Demetris and get an overall idea about the history of the project and its future through the eyes of the creator. Feel free to browse through other videos on the OSRC YouTube channel to find out more about the system or head to the Forum with your own questions or suggestions. Don't forget to check out the OSRC Facebook site as well, where many news and daily updates take place while working on different features of the system. Post your comments there as well, like the site and contribute to the effort. In this video the designer of the OSRC (Open Source Remote Control) system goes through all major features and talks about the benefits they hold. The video was mainly created to address most of the questions that gathered through the OSRC as well as other forums, comments on YouTube, E-mails and other social media. Although it was impossible to describe the entire system in a single video, most functions, hardware accessories and the over all details are described in this presentation, giving a more complete understanding of how the OSRC system works and why it is important. You can read more about specifications and features each module of the system has in the Products section of the website. For more videos don't hesitate to visit the OSRC YouTube channel. Welcome to the OSRC Website, the place where the most advanced remote control system and its community resides. Feel free to browse through the available OSRC products and their descriptions, ask your questions or ideas in the Forum or write an article about a project you are working on in the Blog. Don''t be afraid to explore already available articles as well as contribute with your own knowledge to the websites content. Sharing new and innovative ideas as well as help the project grow shall benefit all who use it and provide a source of inspiration to those who are building and constantly maintaining the system. 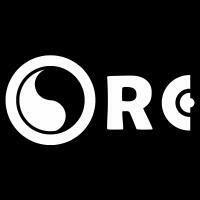 The OSRC project is Open Source and completely community driven. The goal is to create and maintain the most advanced and up to date array of tools for many different fields of Remote Control applications. Since the system is closer to a portable Ground Station than a simple control unit and can be configured through accessories and modules to be as complex as the application requires it, it is important to understand the basic functionality and role of each available component of the system. Please check the Blog section for documentation about each part of the system and read the Product descriptions available on the site. As always when in doubt, ask anything related to the system in the Forum or simply contact us. Feel free to take advantage of the Files section and share your work as well as download the work of other members, related to OSRC. Don''t forget to participate in the development discussions related to your contributions as well as help others who might need guidance while developing. To stay constantly informed about the status of the project, updates related to sales, manufacturing or support as well as many other aspects of the system and its activities, please don''t forget to monitor the News section as well as the Facebook and Twitter accounts through which the creators of the project constantly relay the latest activities and any events.